Mandy Metzger is a board certified Physician Assistant that has been practicing since 2007. 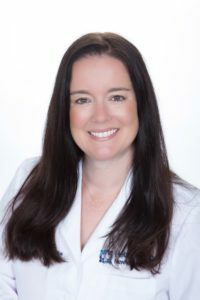 After graduating from UCLA with a Bachelor of Arts in Sociology, she went on to earn her Masters of Science in Physician Assistant Studies from Alderson-Broaddus University. She went to work in General, Vascular and Thoracic Surgery in Portsmouth Ohio until 2010 when she moved to Valencia, Ca. She then came to work here at Valencia Neurology Medical Associates in May, 2011 and has been working closely with Dr. Dhillon since then. She is board certified by the National Commission on Certification of Physician Assistants and licensed by the State of California. She is member of the California Association of Physician Assistants and American Academy of Physician Assistants. She enjoys spending time here in the Santa Clarita valley with her husband and two daughters.